* Hours are subject to change based on facility usage and weather. The outside temperature must be at least 70 degrees to open the pool. 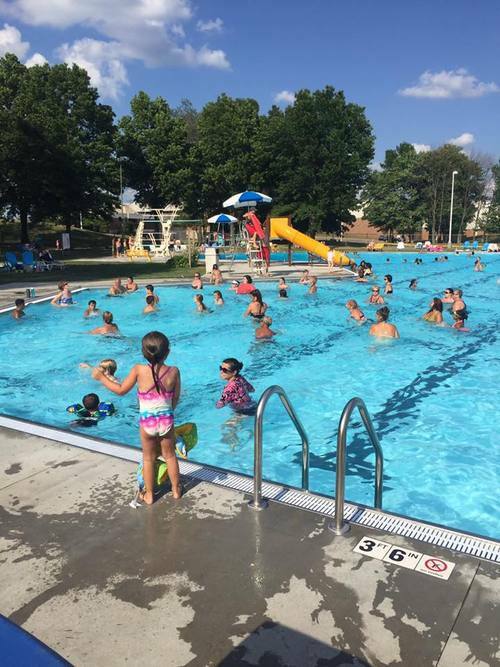 The pool will close when there is a threat of thunder or lightening and remain closed for at least 30 minutes after last lightening strike observed. Allowed: Dive sticks, noodles, splash balls and coast guard approved life jackets and puddle jumpers. Small tents and umbrellas may be used but cannot be anchored into the ground. Weather conditions may prohibit their use and that will be the managements decision. No child under the age of 6 will be in the water unless accompanied by an adult. Sign up starting May 20! YMCA Members receive additional 25% discount on season passes. Must be a regional member of the YMCA of Central Stark County. Family: One or two adults, living in the same household, including dependent children through the age 23. Senior: Age 65 and over. Buddy Pass: An extra pass for you to use for a non-specified friend, family member, babysitter, etc. (one person per Buddy Pass, per day). Join us at our outdoor Dogwood pool and you'll be set for a summer of fun for the whole family! From riding our pool slide to relaxing poolside, to enjoying a cool treat at the snack bar, you and your family are going to love spending your days at the pool.